For over 100 years, the Western Open was considered Chicago’s professional golf tournament. First played in 1899 at The Glen View Club, the Western Open in 2006 was the 3rd oldest active PGA Tour tournament, after the British Open (began 1860) and U.S. Open (began 1895). 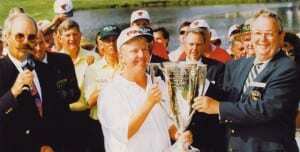 Beginning in 2007, the Western Open was renamed the BMW Championship, part of the FedEx Cup playoff series. The Western Open was run by the Western Golf Association, which is one of the United States’ oldest golf organizations, with its headquarters located in Golf, Illinois. Throughout its run, the Western Open featured title sponsors Beatrice, Centel, Sprint, Motorola, Advil, Golf Digest and Cialis. Up until 1961, the Western Open was played on a variety of midwestern golf courses, as well as other select locations such as Phoenix, Salt Lake City, San Francisco and Los Angeles. The Tournament was even held in 1923 at the Colonial Country Club in Memphis, Tennessee. 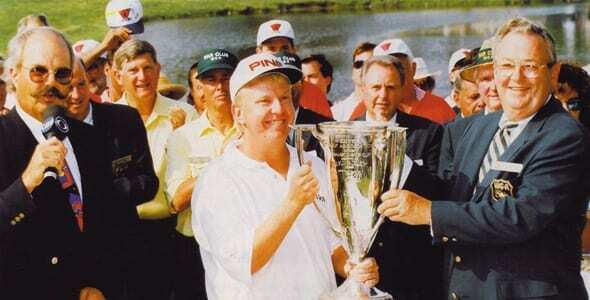 Starting in 1962, the Western Open entered its run as Chicago’s professional golf tournament. From 1962 until 1974, the Western Open golf tournament was hosted at some of Chicago’s top golf courses, including Medinah Country Club, Beverly Country Club, Olympia Fields Country Club and the old Tam O’Shanter Country Club in Niles. In 1974 the Western Open began a run of 19 straight events at the Butler National Golf Club in Oak Brook. In 1990, when the PGA Tour adopted a policy of holding events only at clubs which allowed minorities and women to be members, the tournament was moved to Cog Hill Golf & Country Club in Lemont. The Dubsdread Course at Cog Hill played host to the Western Open from 1991 to 2006. In 2007, the Western Open was renamed – and changed in terms of invitational criteria – by the BMW Championship, part of the FedEx Cup Playoff Series. The Western Golf Association continued to have input in the running of the tournament. The 2011 BMW Championship was the final event played at Cog Hill, at least for the forseeable future. The tournament has been played at multiple golf courses in the Midwest over the past few years.